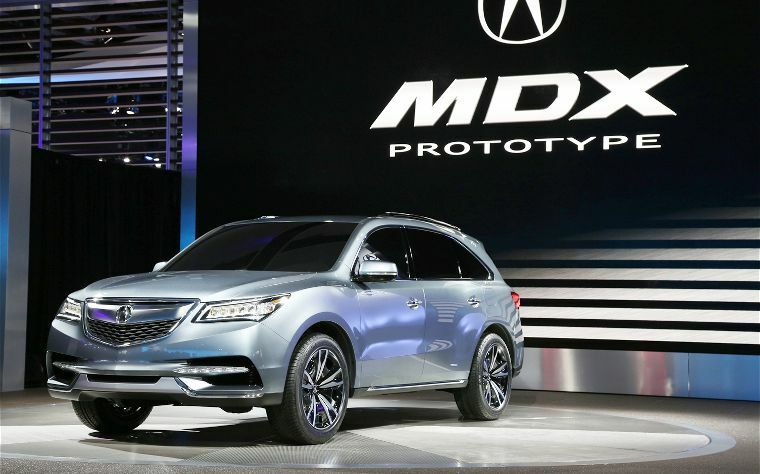 We’re getting closer to our first look at the redesigned 2014 Acura MDX but, depending on who you ask, we’ve already seen it. Acura released a vague, if highly stylized, rendering of its renovated SUV in December 2012. Then, we saw the prototupe at the Detroit Auto Show in January 2013. Acura says the production version will debut at the New York International Auto Show trhis March but Autoblog.com predicts the production version won’t differ much from the prototype. Either way, the new and improved 7-passenger MDX will be sporting a host of changes from earlier models as Acura aims to “restake luxury SUV benchmark status”. Click here to read the press release. Then, join those of us at Butler Acura in staying tuned to www.acuranews.com for the big reveal come March 27th. « 2014 Acura RLX: On Sale Soon!